Wenigzell and the Joglland - buchtelbars Webseite! The Joglland is a richly forested range of hills in the district of Hartberg in the northeast of Styria. Its name comes from “Jakob” (perhaps also from the community of Sankt Jakob im Walde), which is often called “Joggl” or “Jackl” in this area. 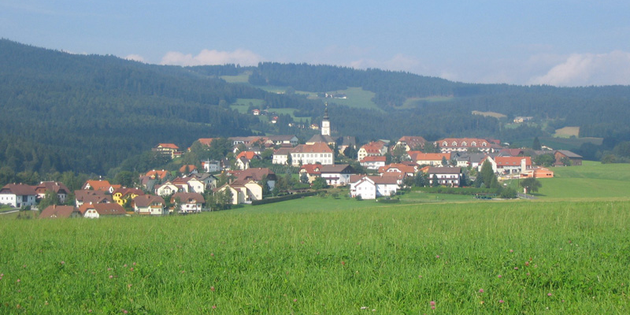 Wenigzell, a community of about 1,600 inhabitants, lies in the heart of the Joglland at an altitude of 828 metres. It is divided into the four parish communities of Pittermann, Sommersgut, Sichart and Kandlbauer. Hiking trails, such as the “Power Path”, the “Barefoot Nature Path” and the “Barbara Sicharter Trail” are prominent attractions among the 80km of hiking trails. A great many possibilities are offered at all times of the year to all holidaymakers, from enthusiastic sportspersons to contemplative nature lovers.